Speaking in South Florida to Parkland students and parents earlier this week, House Minority Leader Pelosi called the activists a “blessing to our country,” and said that because of their energy on the issue, gun control would be a priority for Democrats should they take back the House in the midterm elections. But not all parents of Parkland victims are happy with her proclamation. 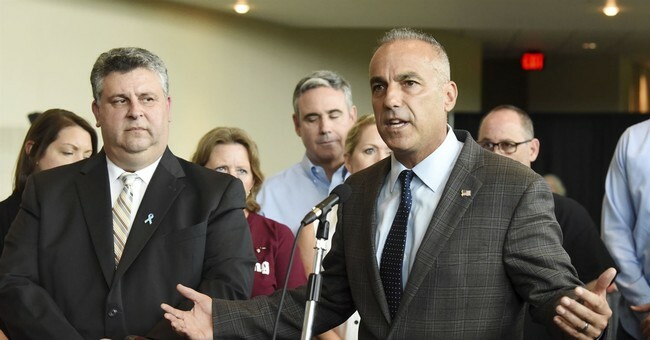 Andrew Pollack, whose 18-year-old daughter Meadow died this past Valentine's Day at Marjory Stoneman Douglas High School, responded on Twitter, blasting Democrats for failing his daughter and her classmates. "From a victims dad, go to hell Dems #FixIt"
Pollack has since founded Americans for Children's Lives and School Safety, whose "mission is to design, implement and support programs that foster children’s safety, security and well-being," according to its website.